All are welcome – that’s the idea anyway. Imagine that you are invited to a great banquet, a sumptuous feast, a life changing event that you never imagined that you would attend. Maybe you wanted to attend, maybe you swore you would never go to such a thing, but whatever the case, you find yourself getting ready to enter. As you approach, someone greets you, but you notice they are looking you up and down in a way that makes you deeply uncomfortable. You were told that the host of the vent welcomed all people, yet now you are not so sure. As you proceed, another person stops you and asks for your credentials. Suddenly you loose your emotional footing – you wonder what’s going on. You have your invitation, and it appears to express that you are welcome at any time, so you’re not sure what might be wrong. This being Thursday means #tbt in social media world. If you are unfamiliar, that hashtag stands for “Throwback Thursday.” Last Thursday included a #tbt, so maybe I will do this for all of Lent, but no promises. It is not just the lazyblogging of reposting old content, but a means to connect the past and the present at the blog, meaning the papal installation and the papal visit to Mexico. Almost three years ago, on March 19, 2013, Pope Francis was installed to the Chair of Peter. What did we know back then? I don’t know about you, but I was already onto the fact that this was a most dangerous man – and I was very happy about it. I still am. At the same time, and here is our Lenten challenge, I remain deeply uncomfortable and divided. Uncomfortable? Divided? Don’t get me wrong, I love the guy! I’m uncomfortable and divided because cheering him on from my suburban corner of the world reminds me that I am too comfortable and afflicted. 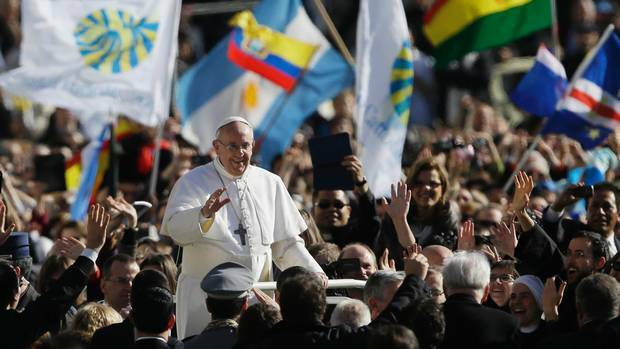 Cheering Pope Francis on is one thing. Living the Gospel? That’s another. How I love to think about it, how rarely I actually live it. During Pope Francis’ journey to Mexico this week, he had the chance to dive deep into issues that divide our nation and our world. I’ve used the word divided more than once, and I will point out that my own image of Satan is that of “diabolos” or divider. Immigration, economic justice, forgiveness and transformation of prisoners, and the slavery of consumerism are all part of the pope’s message. Which is because this is Jesus’ message. All very tasty from the pew or from your sofa, not so much when any of us look at our lives. And for our #tbt, the text of my 2013 post, “A Dangerous Man, Part Two.” If we thought the pope was going to be a game changer back then, we couldn’t have imagined what we’ve seen today. I’m pretty certain that Jesus would be way more challenging! That is certainly an understatement! And how the Spirit is alive in our new pope, who clearly has not followed any pre-existing script. As a result, I continue to find him someone who is potentially dangerous. And I love that. As Jesus Christ showed us a long time ago, and as Jesus Christ continues to show us today, nothing is more dangerous than… love. Now before you go off shaking your head, considering this a seemingly insipid thought, please bear with me as I say few more things. Any of us who are Catholic, or any other kind of Christian, cannot really profess our faith without the knowledge. Can we? Δεν μπορούσα να το πιστέψω, το Ευαγγέλιο ψαλλόταν στα ελληνικά! Χάρη στον Θεό! I mean, the Gospel was chanted in Greek! Thanks be to God! (Greek was the language of most of the New Testament Scriptures in their original form, not Latin.) It also seems noteworthy to me, that a woman proclaimed the Epistle; I’m not sure that has happened before at a papal mass, but I could be wrong. And the liturgy of the day, St. Joseph’s Day, was celebrated, which I think is great. Joseph was also importantly highlighted in the homily. All of this is so exciting to me, and I find myself turning to many Scriptures as these moments and days go by. 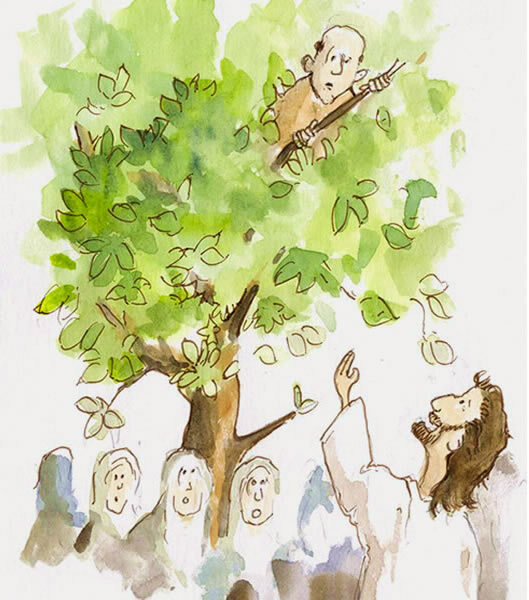 My love for the Gospel is great, and I could point to many stories and parables that touch my heart deeply, but for today, I will focus on two stories that point to how dangerous Jesus was, and how Pope Francis follows suit. 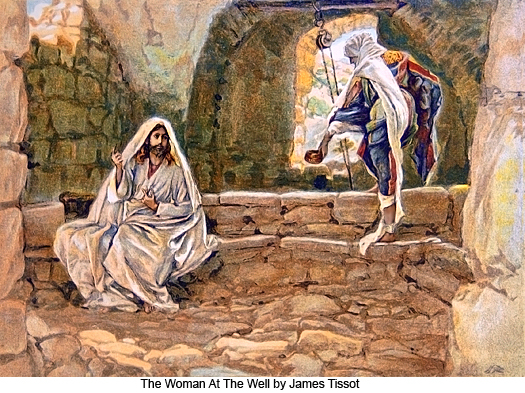 The other story is possibly my most favorite; the woman at the well, from John 4:4. Perhaps one of my favorite moments in this story is when the Samaritan woman admonishes Jesus for asking her for something to drink. That piece of Scripture flashed into my mind as I watched this potentially dangerous scene unfold on the news yesterday. What is so dangerous about this? I am being a bit tongue-in-cheek as I say what I do, but I do have several thoughts about it all. First of all, Cardinal Bergoglio and President Kirchner have a history together; one that is not necessarily a smooth one. 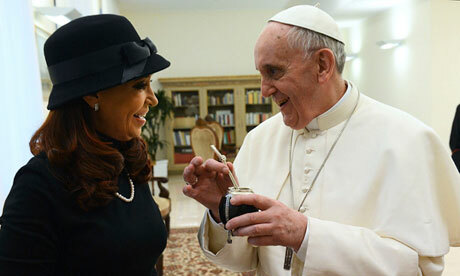 Yet, he welcomed her, and they literally shared an Argentine tradition, una yerba mate. 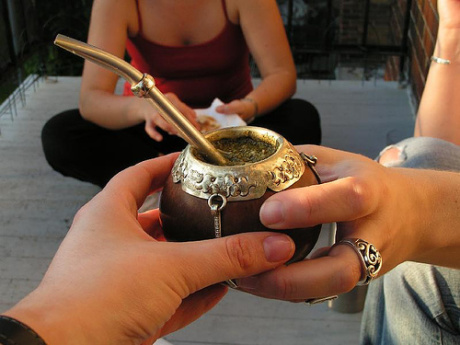 Drinking yerba mate is very ritualistic and it involves everyone sharing from the same cup. Perhaps you see where I am headed. 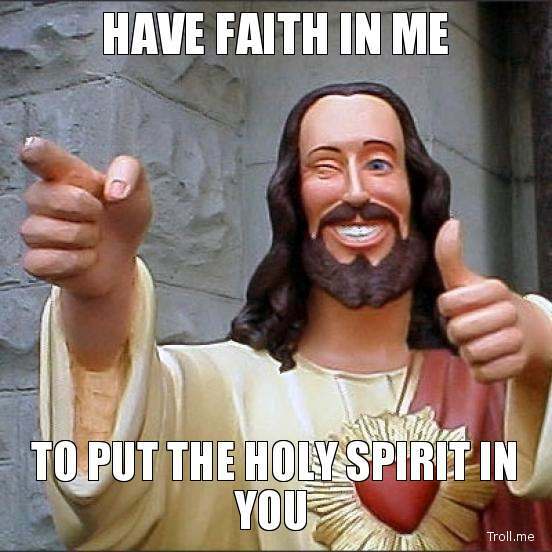 This is good eucharistic theology, if you ask me. And thus, the pope, like Jesus before him, becomes a very dangerous man, by doing this so publicly, so openly, so freely, and so early in his pontificate. Me… I really like it. That Pope Francis did this. Mate? I love the ritual, but I can’t stand the drink itself! Now, there is a statement that could use a little theological unpacking, but I won’t go there today! It makes me think of how fussy we can be, especially when at mass, not taking the cup, the Blood of Christ, which is equal in value and meaning, to the host, the Body of Christ. We are afraid of germs. What about the mate drinkers? They share germs. Are we afraid of germs? Are we afraid of one another? Are we afraid of Christ? I think that this new pope may have some lessons for us along all of these lines. Lessons from a dangerous man, about someone who was really dangerous to many, but who is the savior of us all – Jesus Christ, our Lord. 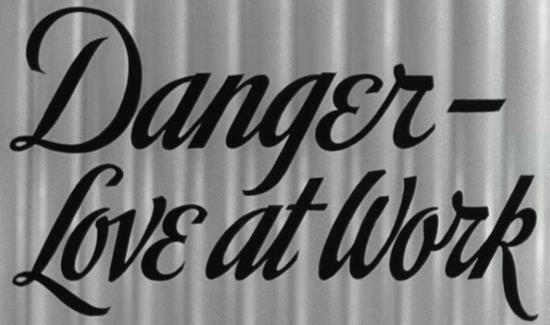 With that, I leave you to ponder the dangerous power of love at work in the world.